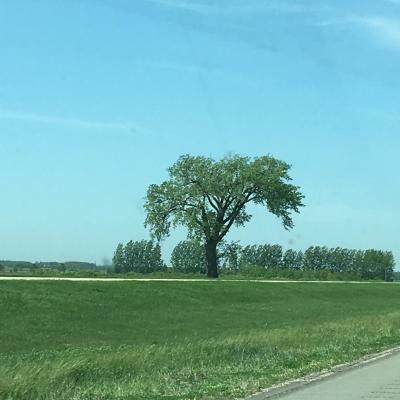 A tree, located beside the Trans-Canada Highway has been used by generations of travellers between Winnipeg and Brandon to denote the half-way point along their journey. It was especially important before the advent of the provincial highway network when trails across the prairie were unmarked by signs, so natural features such as large trees were useful landmarks. The Half-Way Tree has become such a cherished local feature that plans to cut it down in the interest of highway safety have been protested vigorously. Local opinons differ on the true identity of the Half-Way Tree. 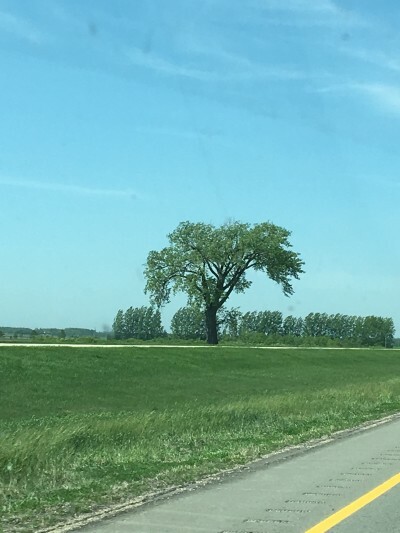 One tree (designated here the North Half-Way Tree) stands along the north side of the west-bound highway lane in the Rural Municipality of Portage la Prairie while the other tree (the South Half-Way Tree) is on the south side of the east-bound highway lane (about N49.97496, W98.67873) in the Municipality of North Norfolk. The two trees are about five miles (eight kilometres) apart. There are several sacred tobacco ties on the southern half-way tree. The tobacco ties are used for prayers and as memorials. 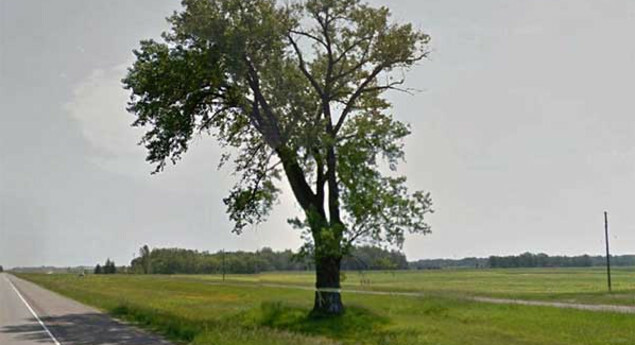 The Halfway Tree is midway between which two major Manitoban Cities?